Kodi is a free and open source software which was formerly known as Xbox Media Center (XBMC) and way originally used for the Microsoft Xbox. It is really an excellent streaming app which permits users playing all type of content like videos, music on all devices like Android, iPhone, Linux, Windows and Mac OS. Besides, users can customize the software like installing skins to change the look of the media centre, or installing add-ons and plug-ins to obtain new functions. If you are fan of TV shows, movies, sports, films and looking for streaming media, then Kodi is a good choice. However, there are some issues with Kodi. Many third-party Kodi add-ons are no longer working and there are increasing legal issues about the use of add-ons to stream copyrighted content. Luckily, there are some alternatives to Kodi which offers almost the same features and functionality for streaming content. In this article, we’ve rounded up the 5 best Kodi alternatives for streaming content across all the devices. Let’s check them out. Also read: Best youtube downloader 2019. Plex is basically the best alternative to Kodi media player software, which is available in free and pro (paid) version. The paid version offers some advanced features but the free version is also good for managing and watching streaming medias. 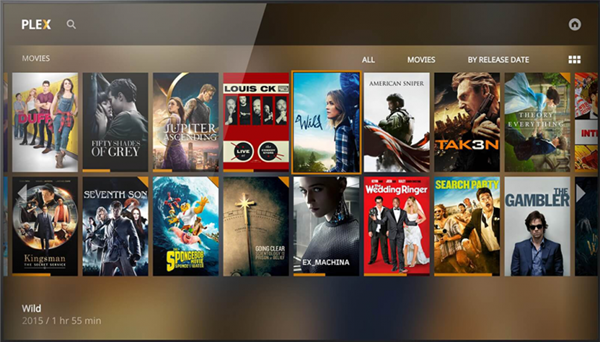 Plex has many features that are similar to those on Kodi. It has a huge collection of channels that are similar to the add-ons on Kodi which allow you to stream different content. Plex has an advanced feature named Client-Server Architecture, which enables you to stream your locally stored digital media on more than one devices over the internet. Besides, it has a home theatre software application which allows you to manage your library. Additionally, Plex can work smoothly on low powered computer or optimized bandwidth. Emby is another good alternative to Kodi, which runs on a server and has support for Mac, Windows, Linux and BSD server operating systems. Initially, Emby was used as a simple media browser with limited features, but now it has been greatly upgrade, The latest version of this software is feature-rich and user friendly. For example, you can enjoy Cloud Sync or Folder Sync as well as many more features that enhance your watching pleasure. Furthermore, Emby features parental control which can detect DLNA devices. It is available in 3 classifications: Emby server, Mobile Apps and TV apps. The Emby TV apps offer support for Android TV, Samsung Smart TV, Chromecast, and many others. While the Emby mobile apps is compatible for Android, iPhone, iPad, and Windows phones etc. If you are looking for an alternative to Kodi, consider giving Stremio a try. It is a local media center program for Mac, Linux and Windows that allows users to watch movies, TV shows, live TV, channel, series, etc. from many different platforms. Also, the software makes sure that all the videos are in all formats as well as high quality. Stremio also features casting support or subtitle support to provide excellent watching experience. You are able to put all of your favorite shows or movies to create your own personal library, and sync the library on all of your devices. 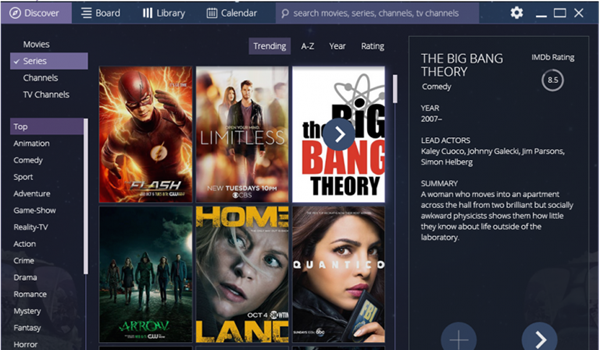 And the recommendation features of Stremio will help you discover new movies and shows. To start using Stremio, you have to create an account. 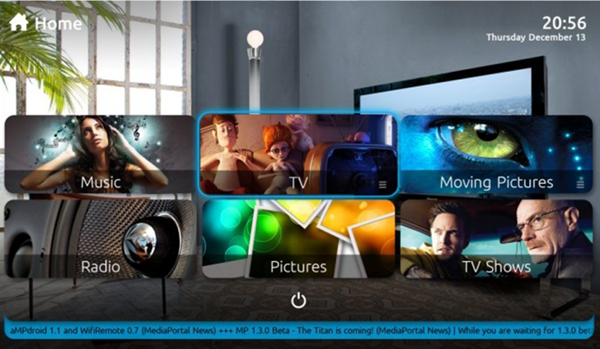 MediaPortal is a well-known Kodi alternative that worth trying. It is built with many interesting features. First of all, this software allows users to record live TV and play media files from hard drive, DVDs or Blue-rays. You can freely listen to all of your music, radio and stream your media on Home Theatre or PC inside of the home network. Also, you can stream content from popular services like YouTube if you install proper add-ons. Additionally, the software can be customized with different skins as well as handle multiple types of media. However, MediaPortal is only available for Windows OS. If you’re a Windows user and looking for a good Kodi alternative, this is the app to go with. Are you an Android user and hunting for a good Kodi alternative? If yes, Terrarium TV is what you wanted. It is an Android app which allows you to watch, stream and download free TV shows, movies on your Android devices. Plus everything available here is 1080 HD and completely free of cost. Terrarium TV does not actually host any of the videos that it shows. Most of the content is streamed from Google Drive or Google Video. This means that there is an additional layer of privacy for media browsing. 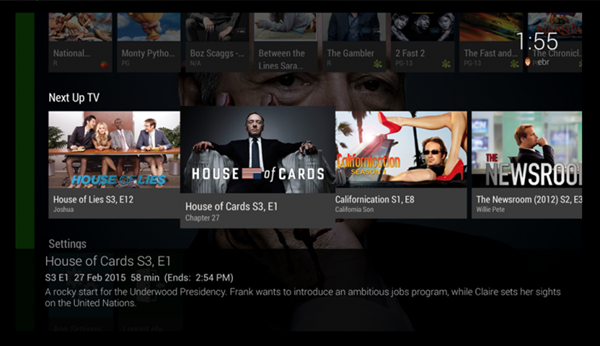 However, if you’re on Android and want a free TV streaming service, Terrarium TV is still a great choice. These are the 5 best Kodi alternatives you can trust and enjoy for streaming content. All these media player software are available for free download and have great features such as multiple device support, different add-ons, multi-format compatibility, etc. Just choose your best alternative depending on your needs and let us know your choice/experience in the comment box. If you find this article helpful, please don’t forget to share it with your friends on Facebook and Twitter.